Loch Ness is a famous 23-mile long loch which divides the Great Glen in the Highlands of Scotland. Alleged sightings of the Loch Ness monster have kept the lake firmly in the news for the last 80 years. The loch was formed over 12,000 years ago when the glaciers of the last Ice Age melted. It is actually a lateral fault, rather like a rift valley, and is over 745 feet (230 metres) deep. 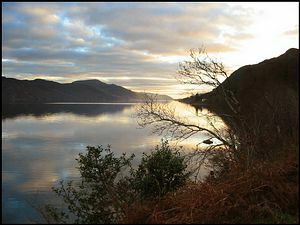 Such is the huge volume and depth of water that the loch only varies by one degree Fahrenheit throughout the whole year. create Cherry Island. This would have protected them from hungry bears and wolves in the winter. It remains the only island in Loch Ness. When the weir was constructed at Dochfour as part of William Telford's construction of the Caledonian Canal, the water level on Loch Ness rose by about nine feet. This has made Cherry Island appear much smaller than when it was first constructed. 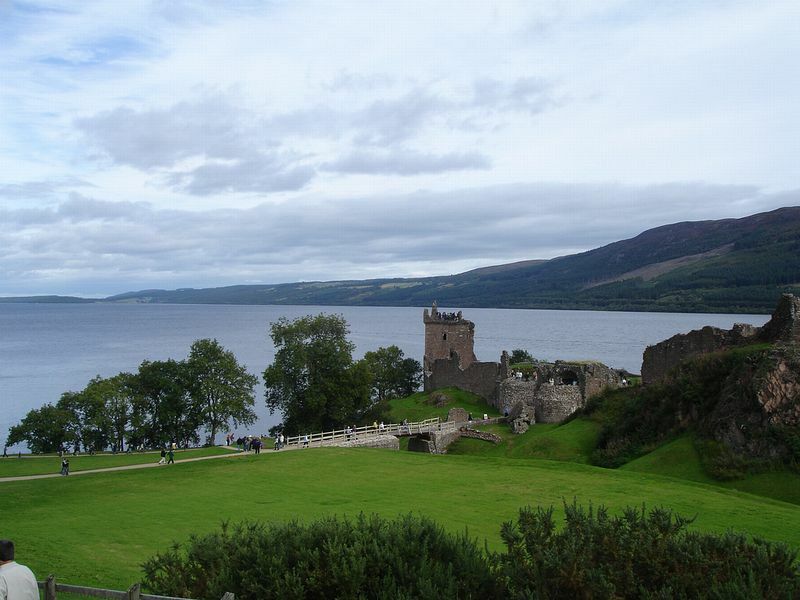 The first encounter with the Loch Ness monster was in the 6th century. St Columba apparently saved a man being attacked by the monster by making the sign of the cross and the beast retreated. In 1933 Mr George Spicer and his wife saw an extraordinary animal cross the road in front of their car. They described it as four feet high, 25 feet long with a long narrow neck with undulations in it. Only a month later a motorcyclist crashed, blaming the accident on him swerving to avoid a similar creature. Since then there have been countless unverified sightings of the monster, affectionately nicknamed "Nessie", and more than one hoax photograph! In 1934 the Daily Mail published a photograph allegedly taken by Robert Kenneth Wilson showing the long neck and head of a strange creature. 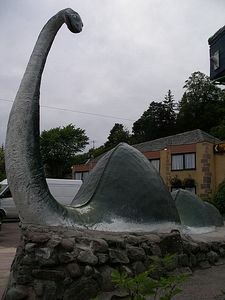 presence of Nessie, or the lack of it. 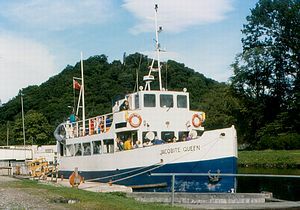 Visitors staying around Loch Ness will want to visit the Loch Ness Centre. Set in the former Drumnadrochit Hotel there are a range of audio visual displays, photographs and artefacts relating to the strange tale of the Loch Ness monster. Walkers can enjoy the challenge of the 73-mile long Great Glen Walk, a long distance footpath between Inverness and Fort William. It runs through Drumnadrochit, Invermoriston and Fort Augustus, all located on the A82 beside Loch Ness. 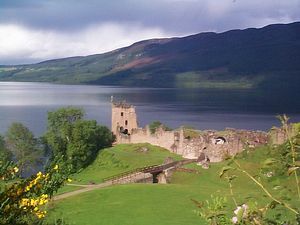 Urquhart Castle is just south of Drumnadrochit, on the shores of Loch Ness. It is open for visitors to explore the five-storey tower house and visitor centre. 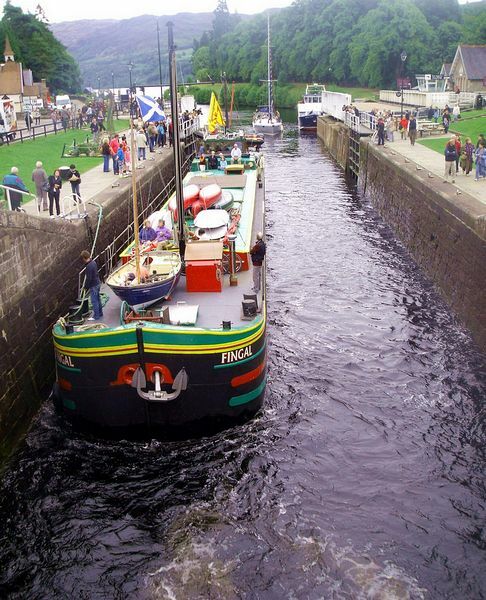 Fort Augustus is an attractive place to visit with the added interest of the Caledonian Canal. 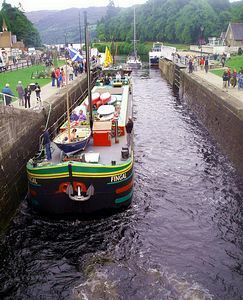 Five lochs raise and lower boats 40 feet as they transit between the canal and Loch Ness. 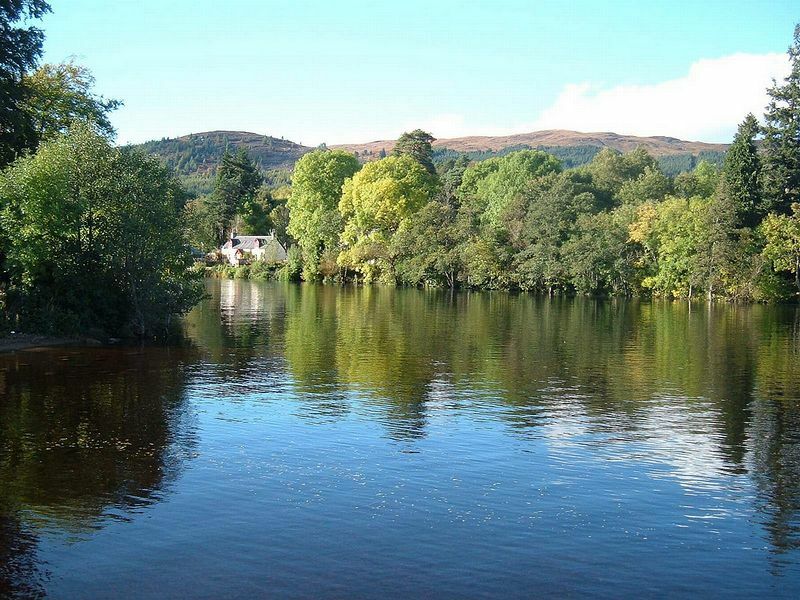 The Clansman Centre at Fort Augustus is an interesting Visitor Centre showcasing the Highland culture. If you ever fancy donning your family tartan or wearing a kilt, you can be photographed here in period costume. 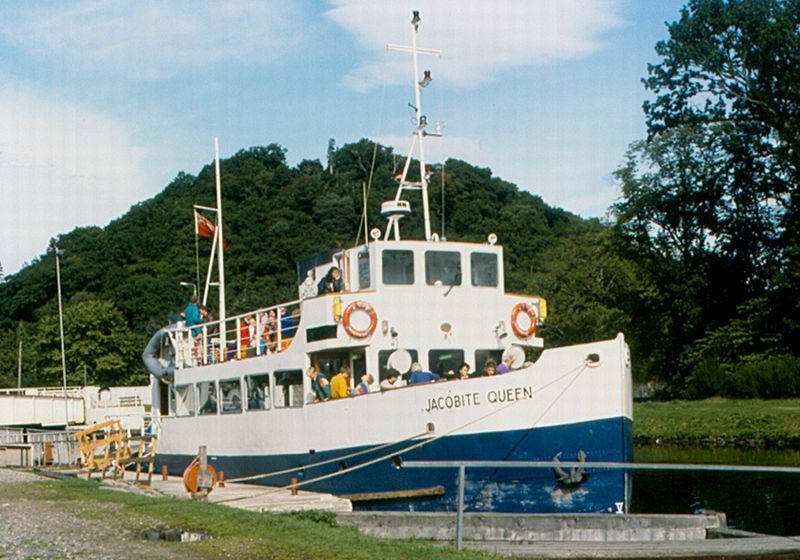 Boat trips and cruises on Loch Ness are popular from Fort Augustus, and who knows, you might be the next visitor to have an encounter with the Loch Ness monster, so have your camera ready!